The pool is a popular with the local children as a swimming hole. 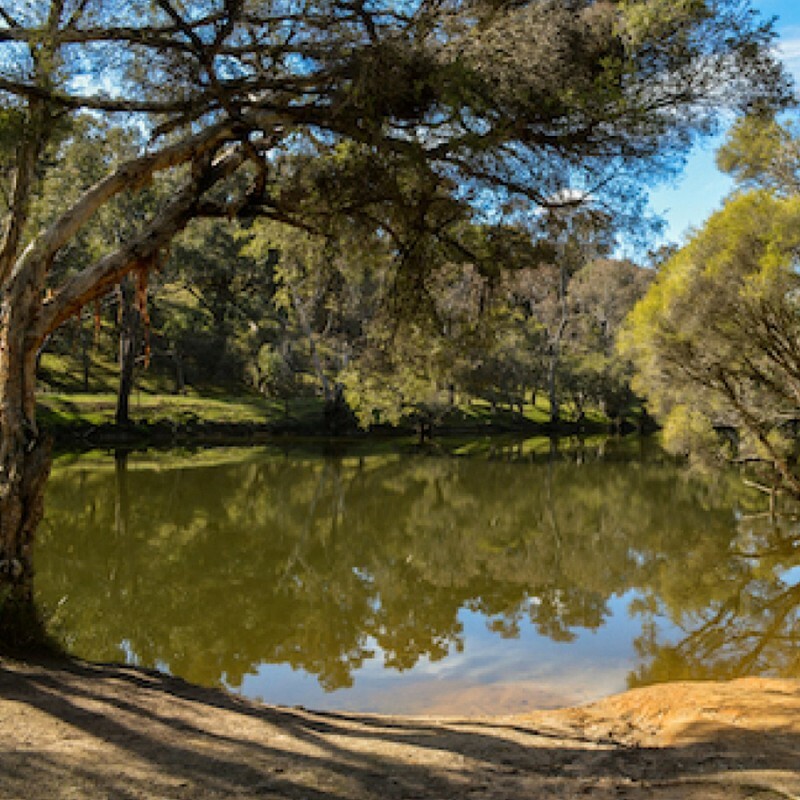 The walk follows the line of the old railway and the Hotham River and winds it way through paperbark tree thickets, passes by scenic rural paddocks with donkeys, sheep, horses and a variety of farm activities and ends near the site of the former Tannin Extracts Factory in Ranford. The first part of the walk is fully paved following the old railway alignment, wide enough for push bikes, horses, prams and wheelchairs and takes in the scenery along the river’s edge along to the Hotham Valley Bridge and narrows as you continue. Once you arrive at River Rd, you continue north to the river and pool. Returning west along the river bank (when water levels permit) the path reverts to a more natural state and ends up as a narrow walking trail only, rejoining the start of the trail closer to town. The Darnmining Pool (otherwise known as the Ranford Pool) is a naturally deeper part of the river which serviced the Tannin Factory when it was operational from the early 1930’s to 1960’s. The pool is a popular with the local children as a swimming hole. The walk trail is signposted along its length and also has informative signs on the different bird species and fish species you can experience.